Whether your office hosts regular happy hours, keeps a stash of bottles for clients, or is looking to send thoughtful gifts during the holidays, we can help supply a price-competitive selection that's versatile, crowd-pleasing, and seamlessly delivered. 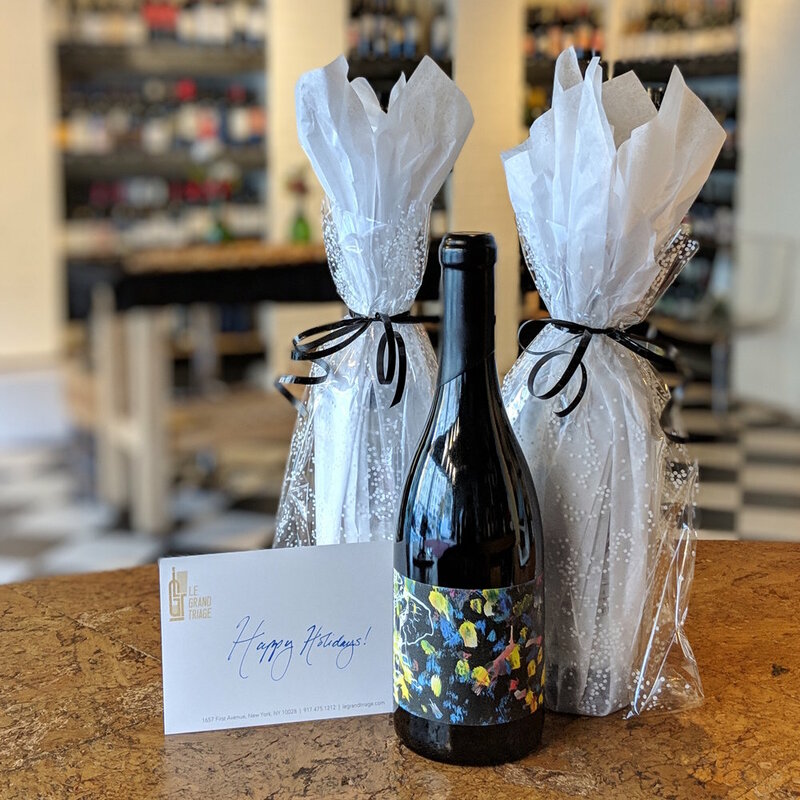 No matter your budget or the number of bottles you're looking to gift, we'll create a fantastic selection that's fit for the occasion and sure to please your recipients. We offer some of the most competitive rates in the city: enjoy 20% off all wine orders and 25% off wine orders of $3,000 or more. For more details, please see our FAQ page or get in touch using the form below. Need the bottles to be wrapped? Want to include a gift note? Both options are included for up to 24 bottles, and a nominal fee will be added for any bottles thereafter. Once the order is placed, we'll take care of the rest and ensure seamless delivery to your recipients. Delivery anywhere in Manhattan is free for up to 5 locations, and a nominal fee will be added for any additional locations. Please use the form below to get in touch about any of your special order needs. You'll be hearing from us soon!